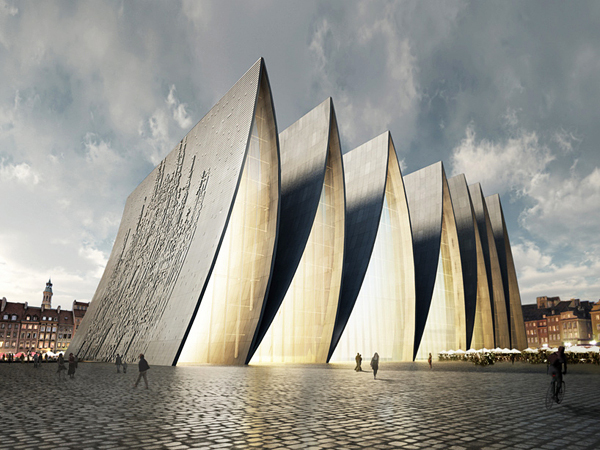 New York-based architecture office Axis Mundi has designed a place of worship in Strasbourg, France called ‘Cathedral Fold’. 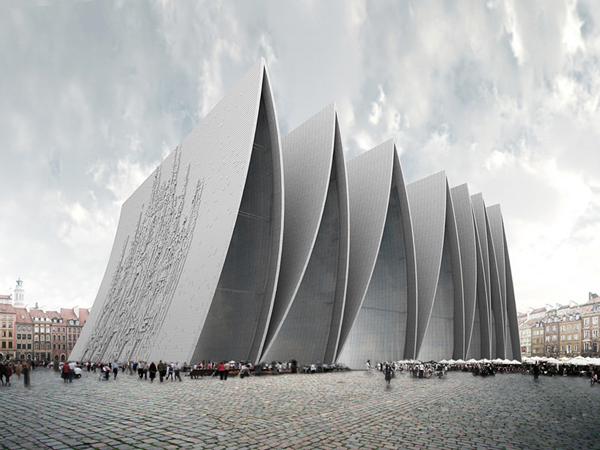 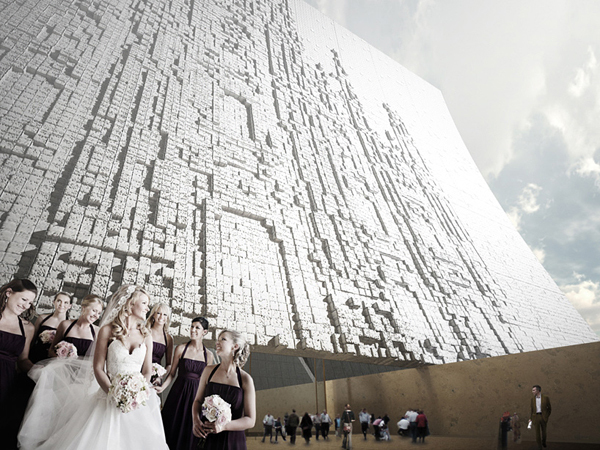 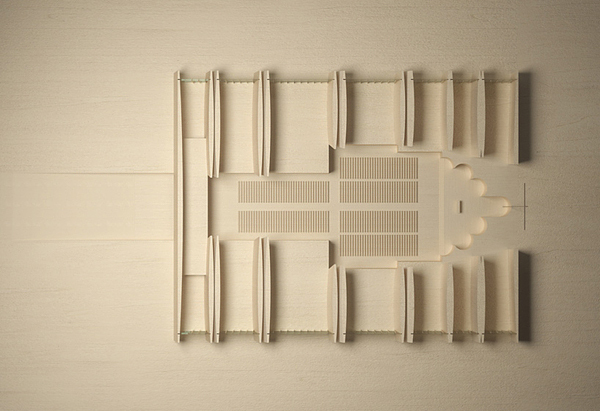 "Composed of a series of pleated concrete arches, the proposal features both subtle and dramatic design characteristics that together create a new and contemporary place of worship. 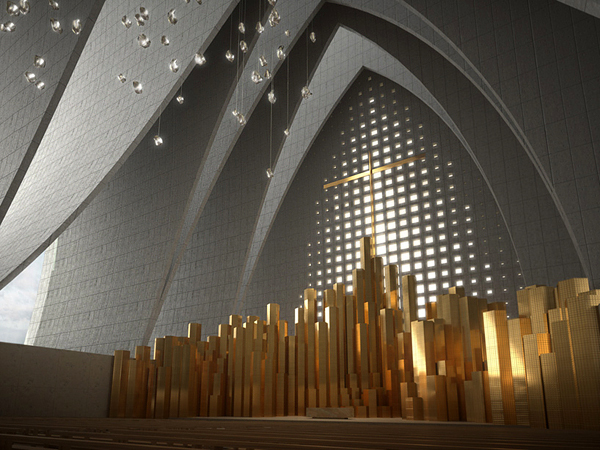 Glazed in between the folds of the concrete roof form, the cathedral opens up to the north and the south, supplying a generous volume of light for the interior space. 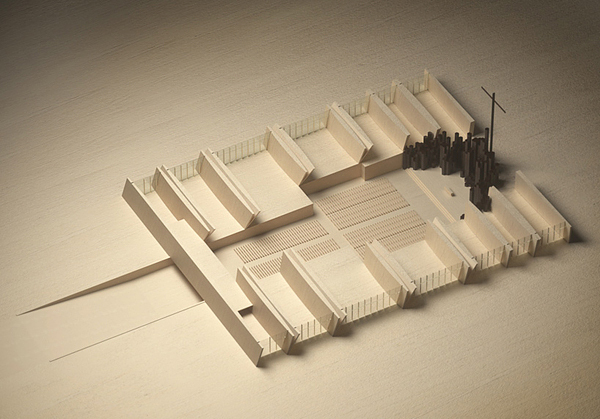 The floor plan is plugged into the site, submerging the ‘cruciform’ layout below grade. 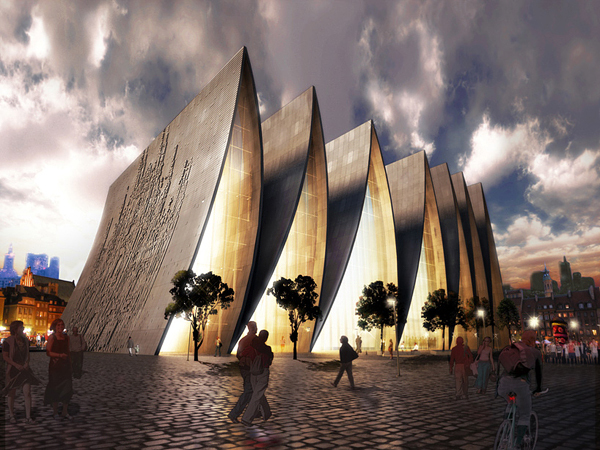 A low-angle ramp leads the visitors into the cathedral where the foundational footings of the concrete folds accent the space in a rhythmic manner." 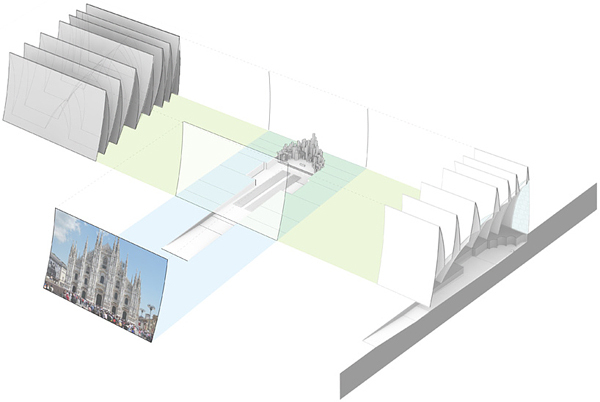 VERY interesting, but what the %(*$ is up with the faux block Milan Cathedral facade? 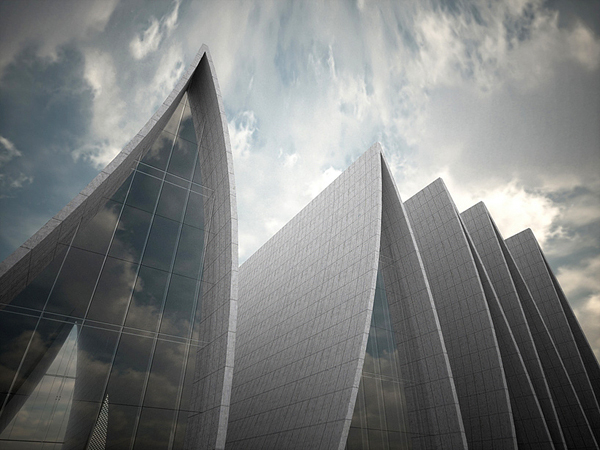 It ruins the entire concept of this building. 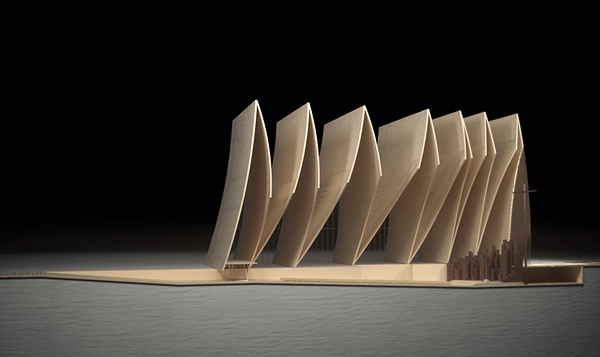 Simplicity and elegance ruined by illogical over-design.